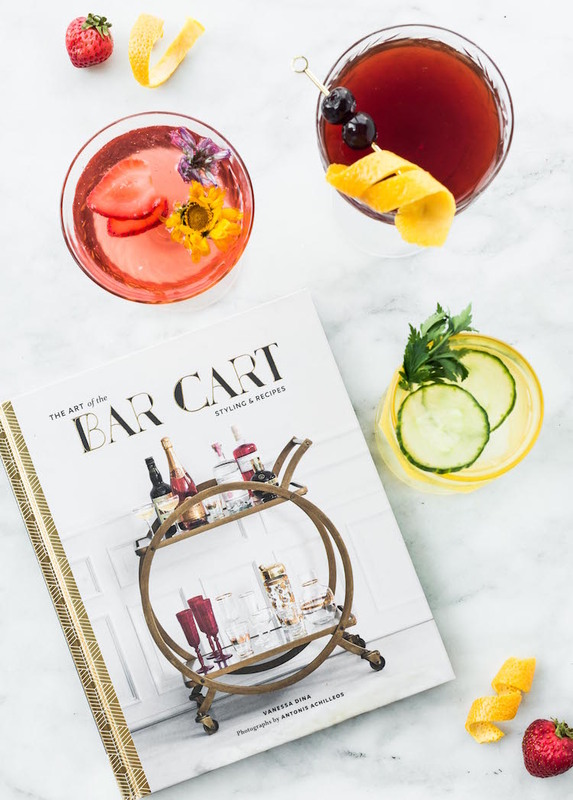 The Art of The Bar Cart / I wrote a book! 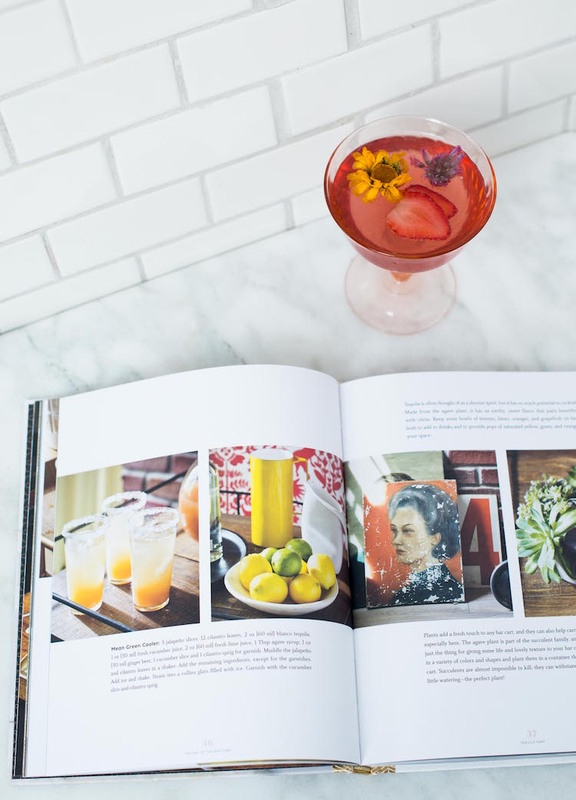 Last year, Chronicle Books, a local publisher here in San Francisco, reached out to me on working on a cocktail book they were developing. My first instinct was to to jump up and down and scream YES OF COURSE, DUH! But I kept my cool (until I was home later, anyway!) The concept they approached me with was that of a bar cart styling book with recipes paired with each style of cart. 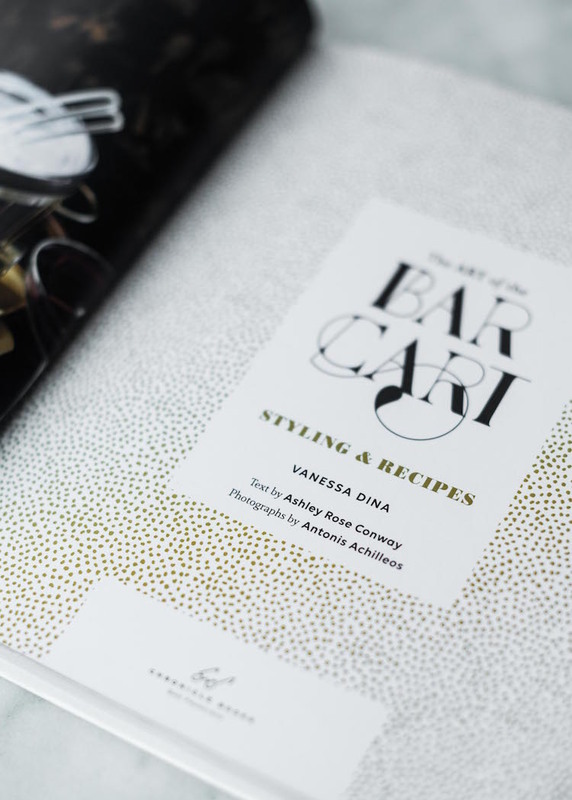 As an avid bar cart lover and styler, It was the perfect book for my first foray into publishing! 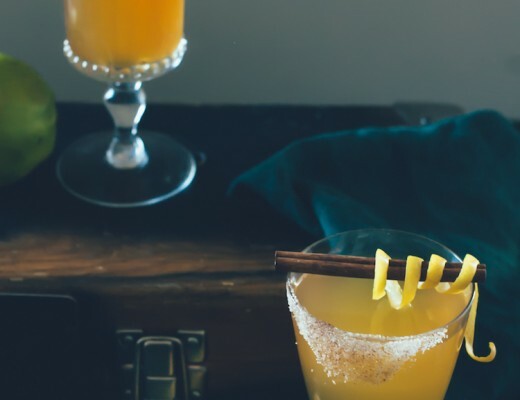 I was brought into the project later into the process as the author and recipe developer for the cocktails for each cart. Normally, writing happens before the images are taken, however, a lot of the images were completed before I started on writing and recipes. This posed both challenges as well as perks! 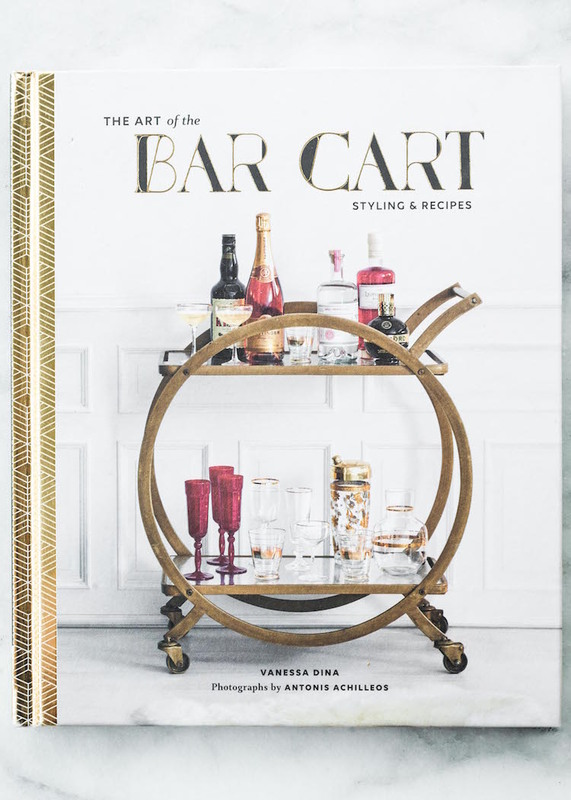 Vanessa Dina came up with the concept for The Art of The Bar Cart and did the styling which is a large focus of the image heavy book. The carts are styled so beautifully which made great subjects to describe and write about! And also makes for a great coffee table OR bar cart book *wink wink*. 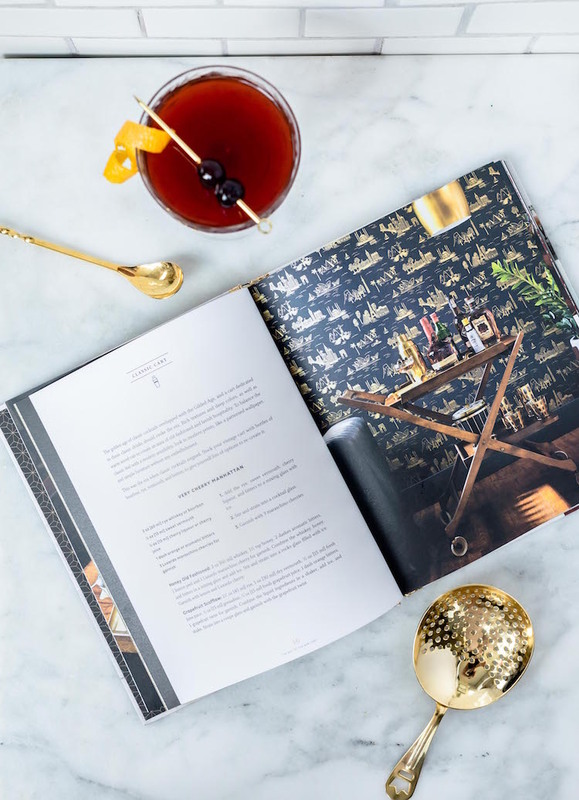 I had the images in my hand, shot by the talented Antonis Achilleos, from the start which made it all the easier to paint a picture of the bar carts with words and give styling advice for how to recreate them in your own home. So enough about me, a little more about the book itself, which is probably what you are really here for! 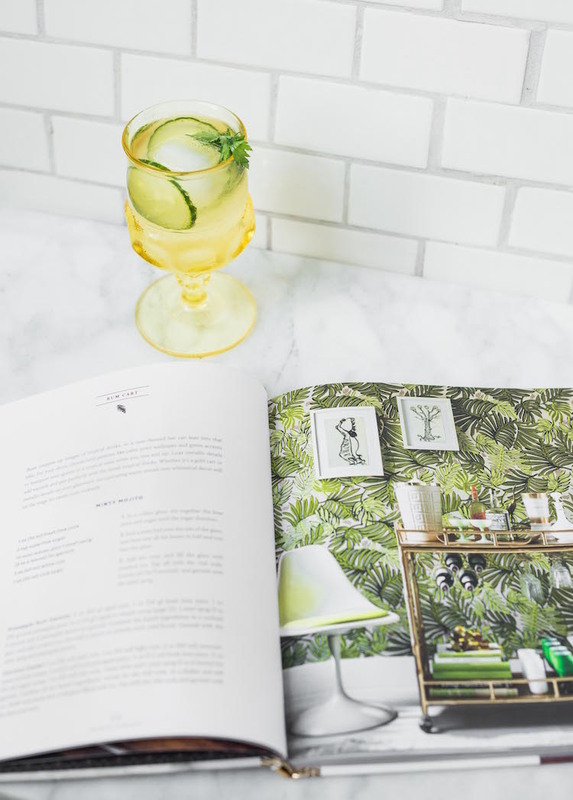 The first section has bar basics and tips for building your bar cart supplies, from tools, to types of glassware, to how to mix, and even garnish ideas. The book is divided by chapters surrounding different styles of carts. Love rum? There is a whole chapter devoted to creating a bar cart around the spirit plus rum filled drink recipes (chapter pictured below). 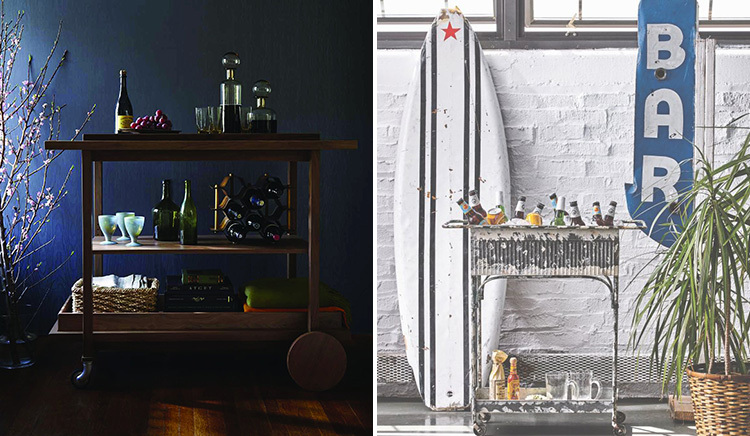 Have a small space but want a bar cart? There’s a chapter for that! Hosting a kids party? There are kid-friendly recipes and party ideas. Looking to entertain for the holidays? 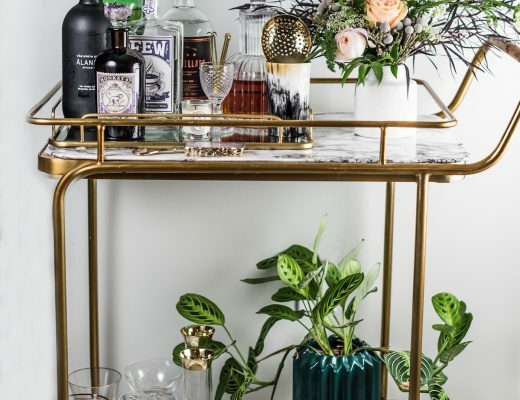 The Art of the Bar Cart has you covered! 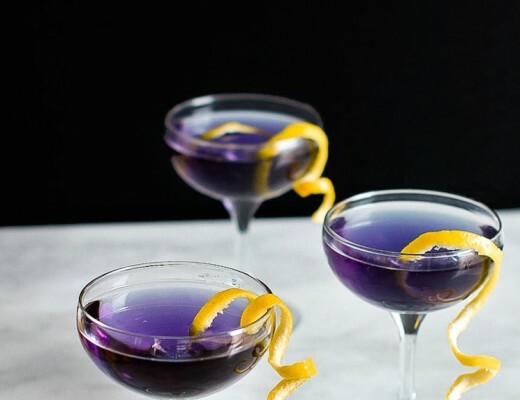 As for the cocktail recipes in The Art of The Bar Cart, they are fairly simple with limited ingredients while still being creative and original which is perfect for both novice and advanced home bartender and imbibers. There are twists on classics you may know plus original recipes that are constantly floating around in my head that I got to put into a book! Think peanut rum and cokes (Crate Cart, pg.82), a twist on the last word (Gin Cart, pg. 46 ), Cynar Flip (Italian Cart, pg. 100), Creamsicle Fizz (Credenza Cart, pg. 94), and a pineapple orgeat swizzle (Rum Cart, pg. 28). More to come on the book, local shops to pick it up at as well as book parties and signings to come soon!